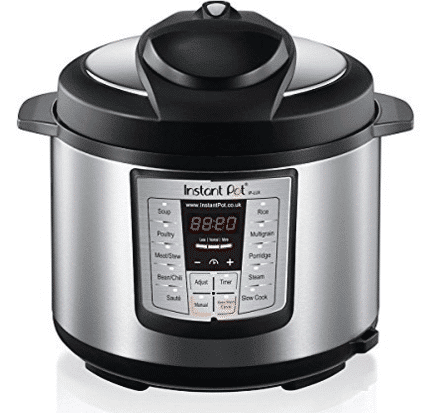 How To Choose The Right Instant Pot + BIG Price Drop! 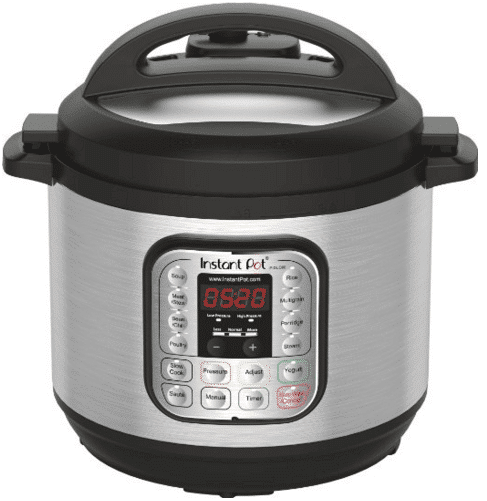 I happened to notice that a few of the Instant Pots are on sale over on Amazon right now – but ESPECIALLY the “Smart” Instant Pot which is on a HUGE price drop currently! 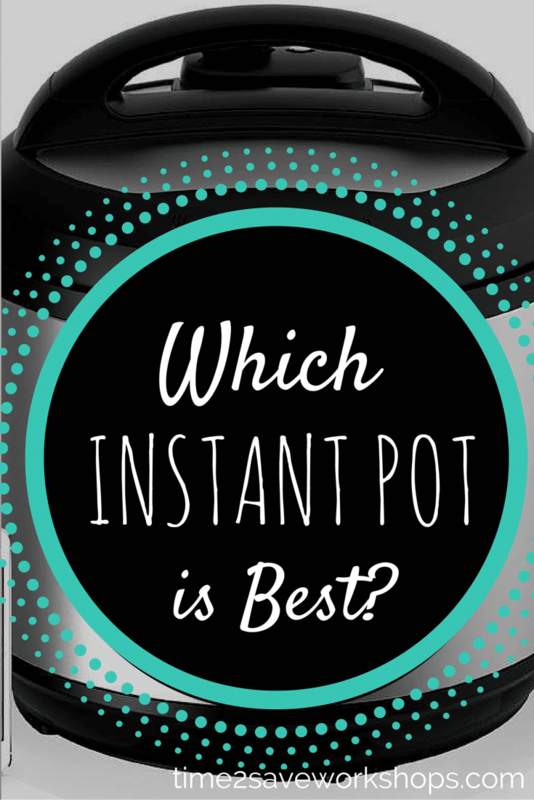 Wondering how to choose the right Instant Pot? There are 4 main models to choose from – ranging from the 6 qt every-day workhorse to the more adventurous cook’s bluetooth-enabled model. While there are some different bells and whistles, all instant pots are electric pressure cookers that make flavorful meals in record times, without having to hover over them. Common features include an easy to clean stainless steel inner pot, energy-efficiency, durability, and multiple safety features. 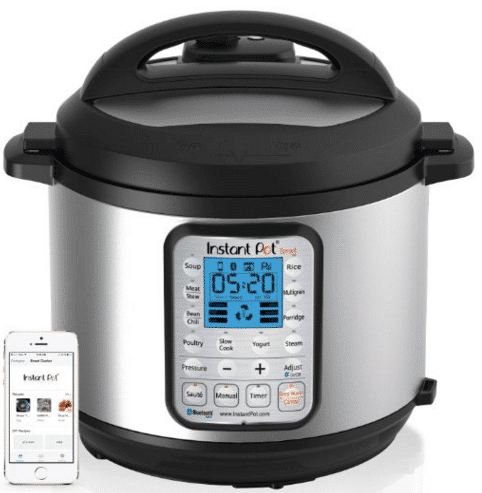 PLUS – Instant Pot boasts an online community of other users who exchange instant pot recipes, answer questions, and share their own tips – for a great user experience. The most basic Instant Pot (if you can even call an Instant Pot “basic”!) is the LUX60. 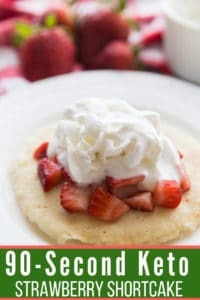 It is really affordable and does all the work of a pressure cooker, stovetop, rice cooker, steamer and a slow cooker in one energy efficient appliance. The reviews say it all – it’s an AMAZING time saver in the kitchen and makes light work of any meal. There are some nice bells and whistles that previous models didn’t have, like the ability to sautee a meat first and then cook. Or to thicken up a sauce or soup after the initial cook time. You also have the option of purchasing this in a slightly smaller version with the LUX50 model, that is 5 Quarts capacity & only uses 900 watts (vs. 1000). The most obvious difference between the IP-LUX60 6-in-1 and the IP-DUO60 7-in-1 is the yogurt making function. 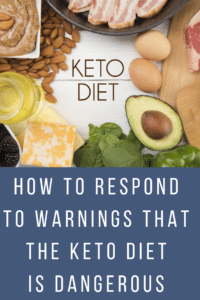 In addition, there are 4 extra built-in smart programs that are a little simpler to use than the previous LUX model, and a “low pressure” setting. Aside from that (details-details! ), the DUO has a better pressure valve, and a built in lid stand in the handle. You also have the option of purchasing this in a slightly smaller version with the DUO50 model, that is 5 Quarts capacity, 2 inches shorter and only uses 900 watts (vs. 1000). The most noticeable upgrade with this model is that it’s bigger (8 Quarts vs. 6) – and therefore able to handle the needs of a larger family. If you’ve used a 7-8 qt slow cooker to handle your cooking needs in the past, you’re probably going to want to opt for this larger Instant Pot. 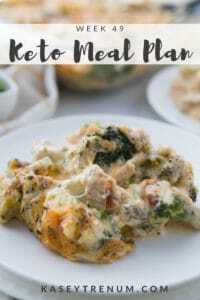 This is also a great option for a smaller family if you like to freeze portions for later! 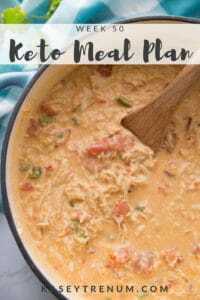 If you like to experiment with new recipes and get adventurous in the kitchen, this is the Instant Pot for you. The newest update to the Instant Pot (apart from a larger size option above) is the Smart Bluetooth Enabled model. This neat new feature allows you to program complex cooking steps in recipe scripts on your smartphone/tablet and execute them on the cooker wirelessly. What does that mean in English? Well, it’s like adding hundreds more cooking program “buttons”. For instance, in slow cooker mode, you can add a “script” that tells your Instant Pot to cook on high for 2 hours and then switch to Low for 4 hours for your favorite pot roast recipe. Set a script for “Mom’s favorite potato soup” or “Nana’s spaghetti sauce” or whatever floats your boat. You’ll find tons of recipes in the coordinating app where the scripts are ready to load. You can also use your phone/tablet to access the status of your pot and monitor cooking while chilling on the couch. 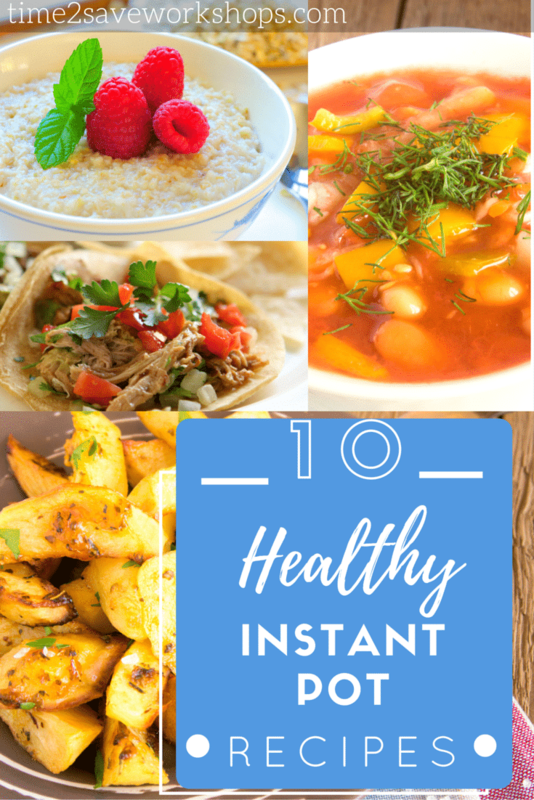 Once you have your new Instant Pot in hand – you’ll want to start trying out recipe right away. Hop over and follow our Pinterest Instant Pot Recipes Board – or check out these posts for some great ideas! 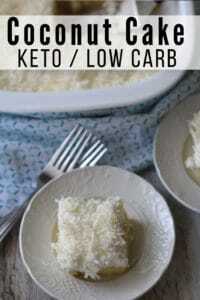 Very interesting; can’t wait to try this. Hey there! 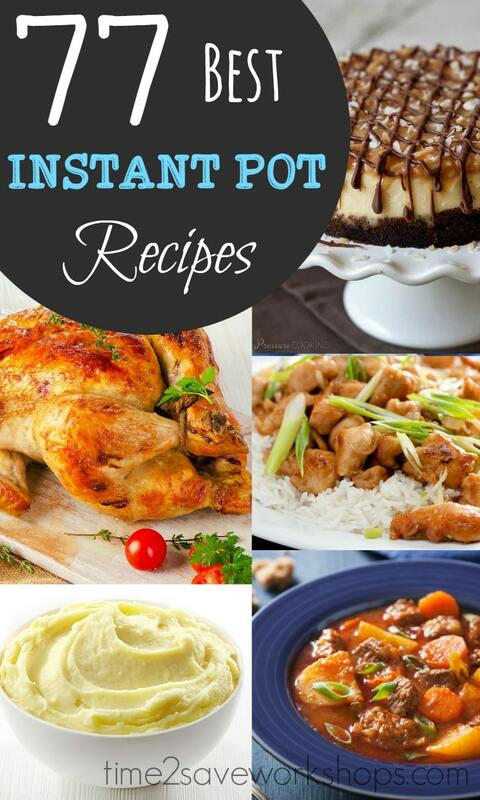 Thanks for the great article on how to pick the right instant pot. There are so many models out there still — and hard to know which is outdated already. So this helps. 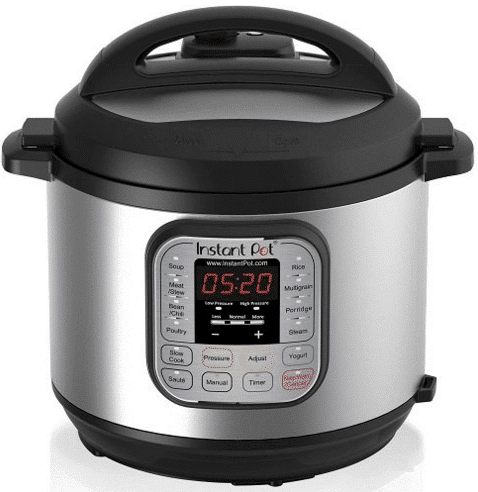 And speaking of outdated already, now I see there is an instant pot duo60 plus. That does more than the duo 60/80. Can you give us an opinion about that if you have tried it? Thanks I’m trying to figure out if the duo60plus is right for me, or blue tooth – but the 60plus seems to have “cake” and other features added.